RICHARD BRODEUR: It’s just like Christmas! The Winning Goal by Richard Brodeur raised $4,000 at fundraiser. 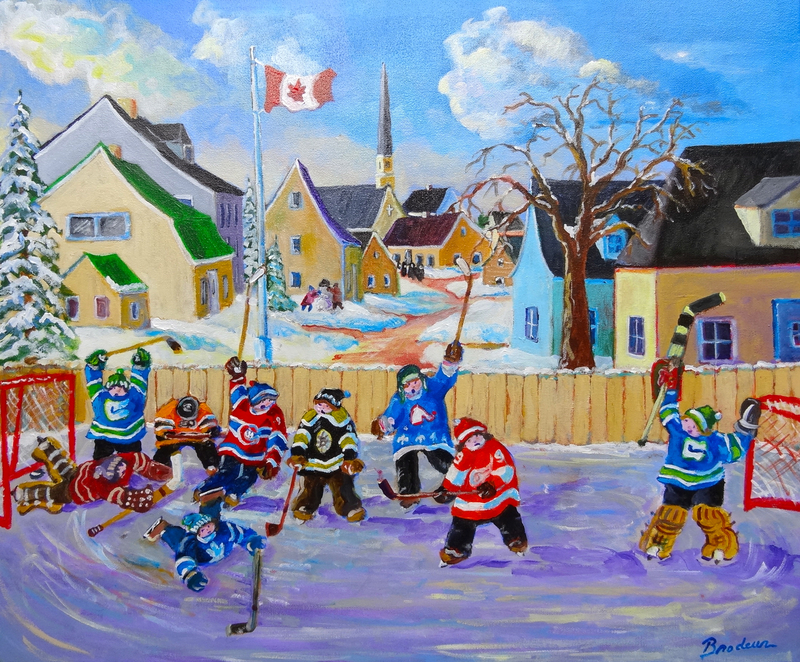 A painting by BC artist and Canucks’ former goalie, King Richard Brodeur scored big time at last night’s annual fundraiser for Aldergrove/Fort Langley MLA, the Hon. Rich Coleman. The evening’s theme, “It’s just like Christmas!”, recalled the B.C. Liberals’ unbelievable win this past provincial election. You, too, can make a wish… for a King Richard painting this Christmas. This entry was posted in Birthplace of B.C. Gallery, Brenda and Kurt Alberts about town, Gallery Artists in the news, King Richard Brodeur, The Art of Sports. Bookmark the permalink.